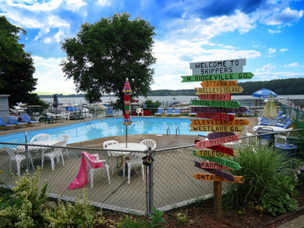 Skippers Marina and Reso﻿rt located in Marblehead, Ohio is just what vacationing is all about. Our family and pet friendly cottages are just a few seconds walk to the waterfront view. It is just what you need to get away from home and relax. If you and your family are an "on the go" type of people it is just minutes of a drive away from many activities.